Loeriesfontein Wind Farm and Khobab Wind Farm have extended their support of the local security officer training programme with the addition of a Management Training course. 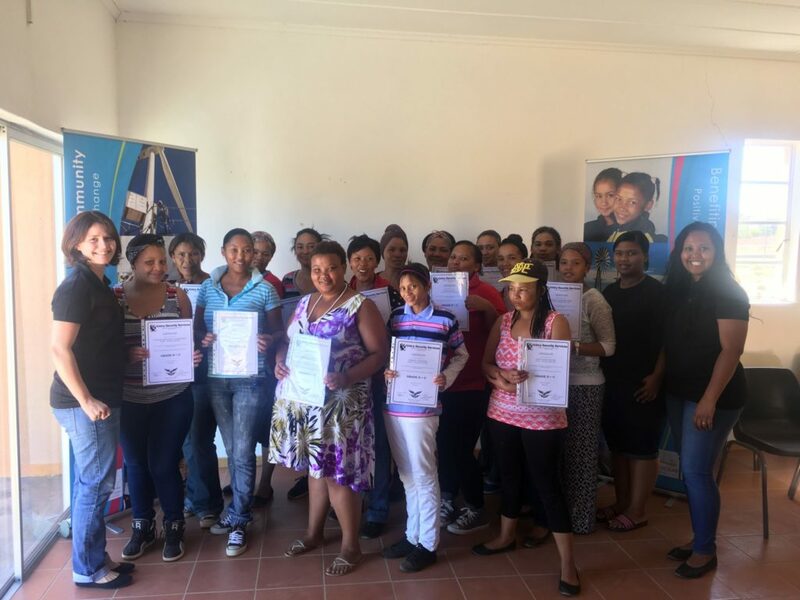 The wind farms together with construction companies Conco and Murray & Roberts, sponsored a 3-day local security training programme in Loeriesfontein during September last year. The programme included the sponsorship of 24 scholarships for community members who wanted to obtain an accredited security officer qualification (Grades E to C). “The top ten students have now received the opportunity to participate in a Management Training course that covers Grades B to A, to further their qualifications,” said Christo Loots, Project Manager of Loeriesfontein Wind Farm. This programme is part of Loeriesfontein Wind Farm and Khobab Wind Farm’s socio economic development initiative as well as their enterprise development programme, which is focused on providing the necessary training for the youth from our beneficiary communities to contribute to the development of a workforce with the right level of skills to attract and retain investment and boost local incomes.